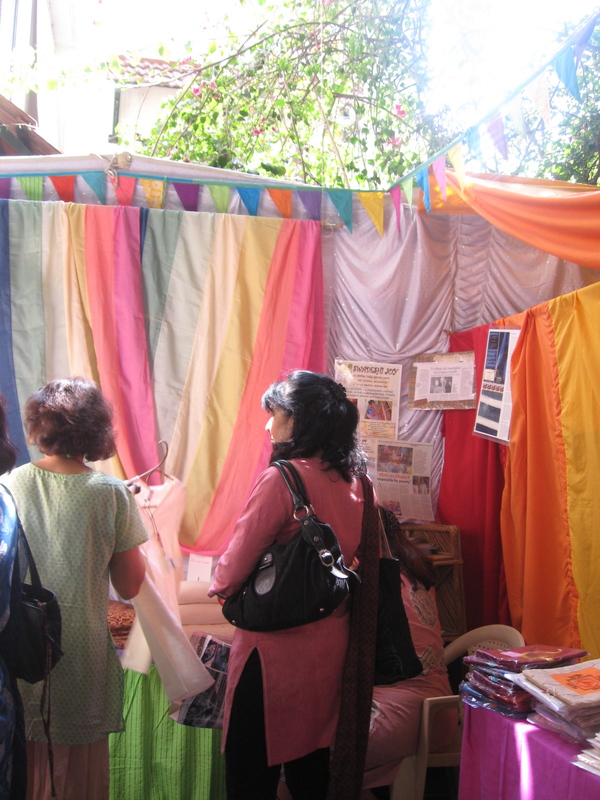 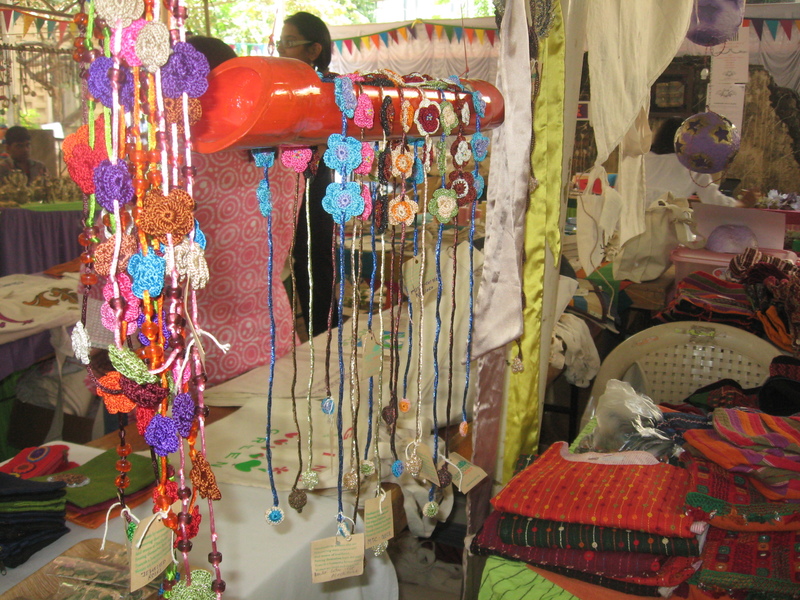 If you saw the previous post on the mela of handmade, crafted goodies, I hope you plan to visit! 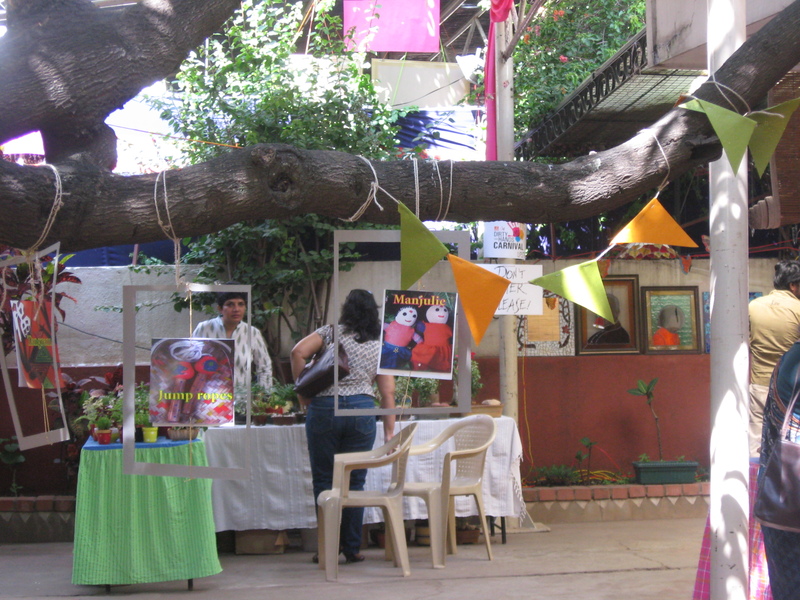 The mela is on from today (23 Nov) to Sun, 27th Nov, 2011. 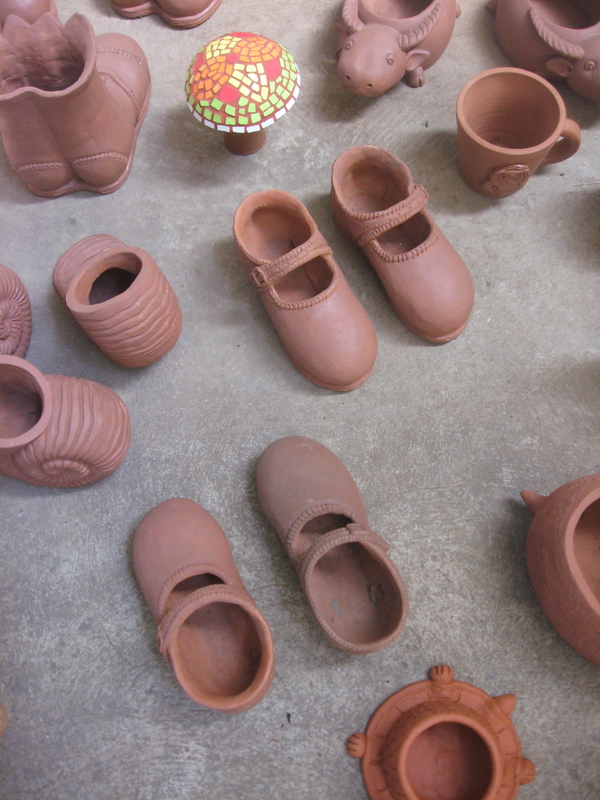 I went there early on hoping to get in some pictures and share with you so you can plan on visiting before the week is out :). 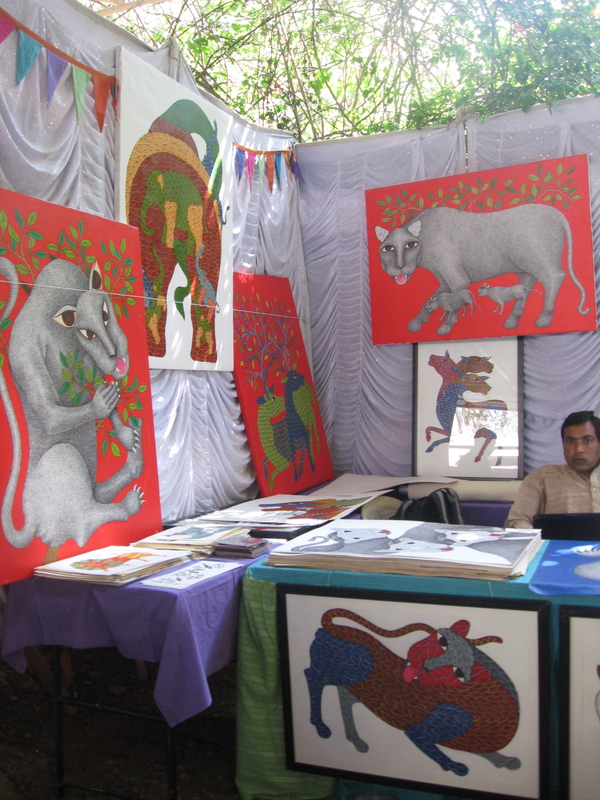 Radhakrishna’s paintings with various shades of mud. 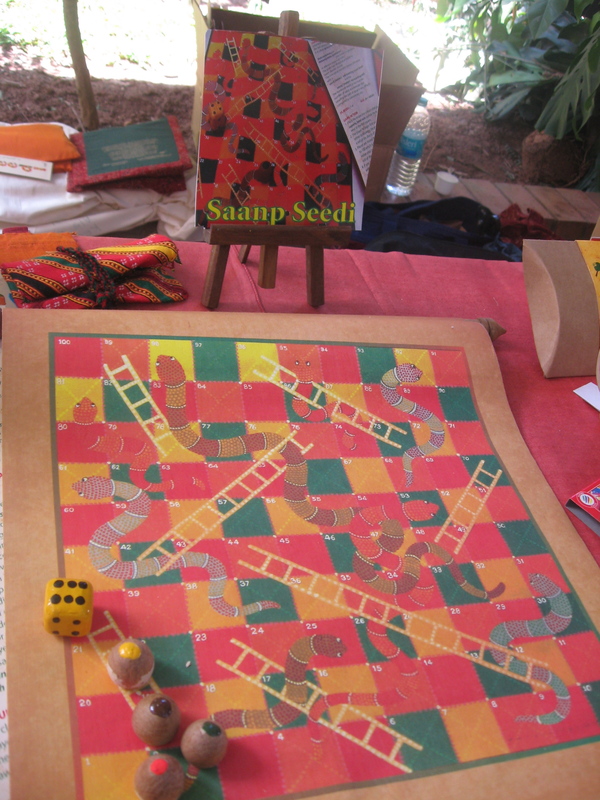 Traditional Indian games by Manisha and Vaishali, of KEC Games, Mumbai. 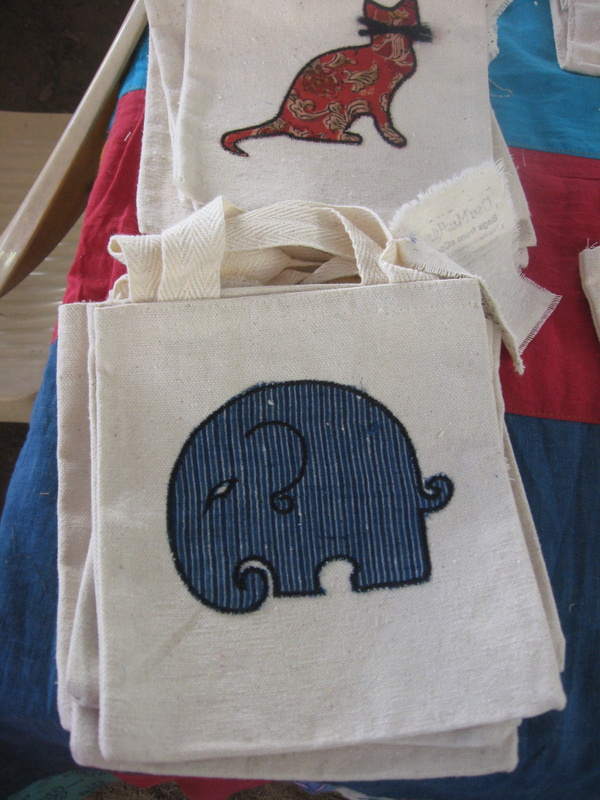 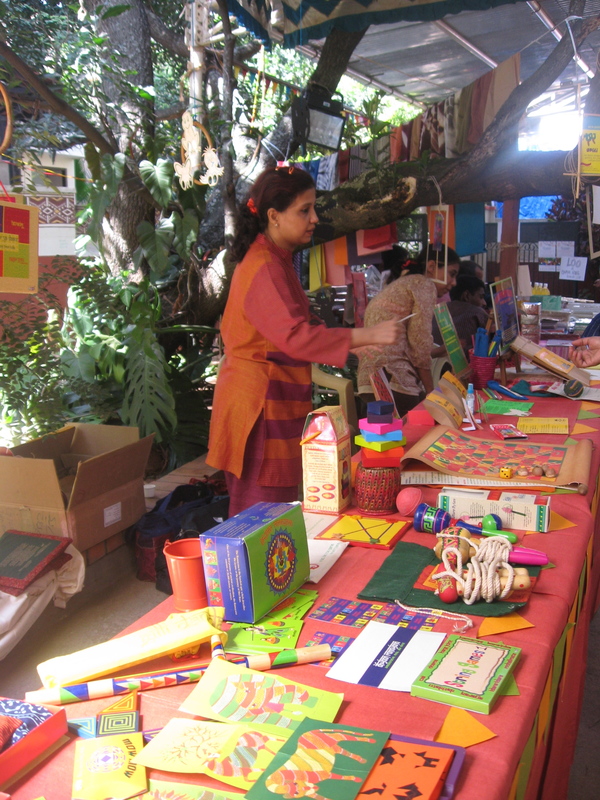 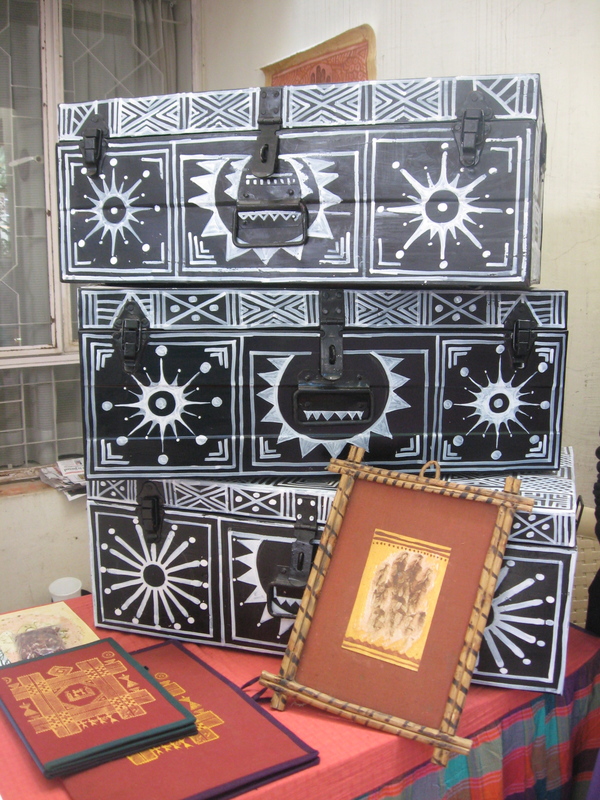 The jigsaws of endangered animals, snake and ladder, lagori pouch, nostalgia galore and great gifts for our children. 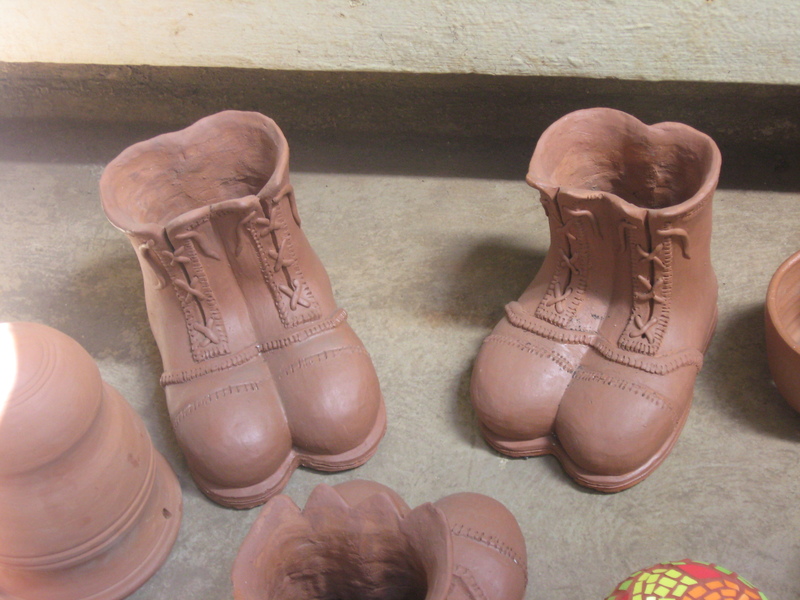 These charming terra cotta shoes and boots make great plant holders.. any thing holders! 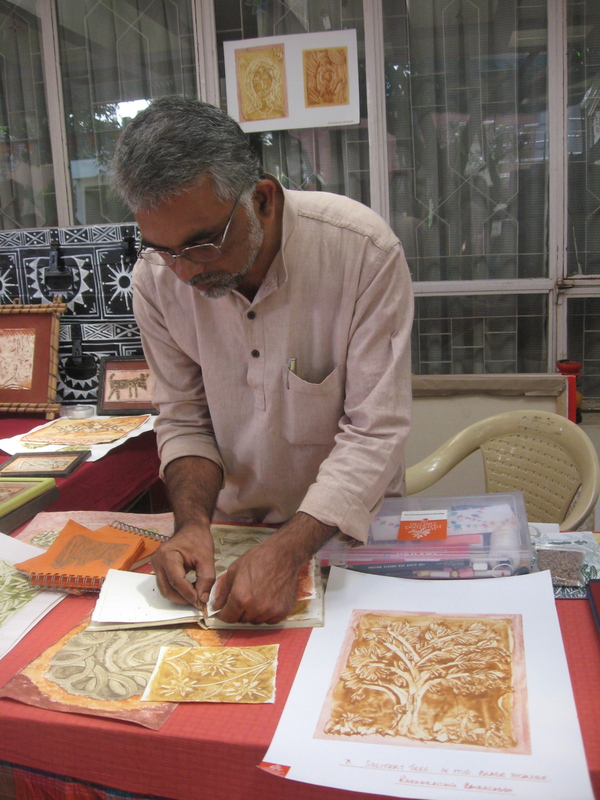 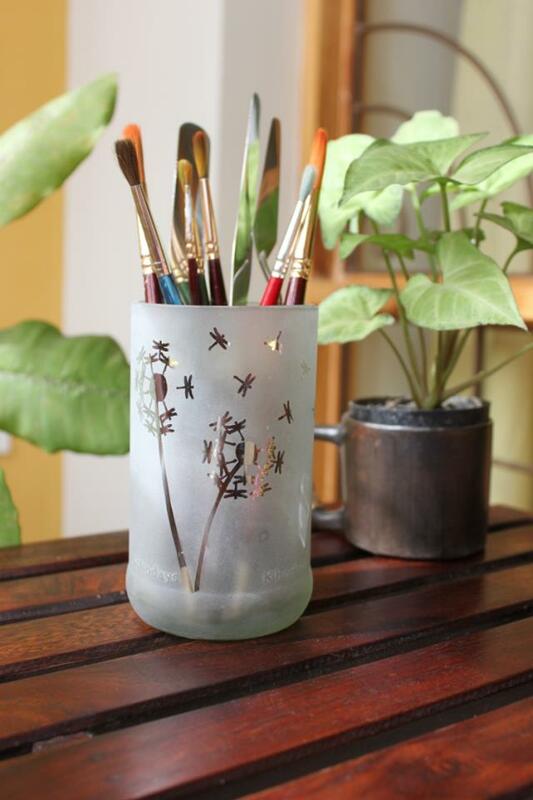 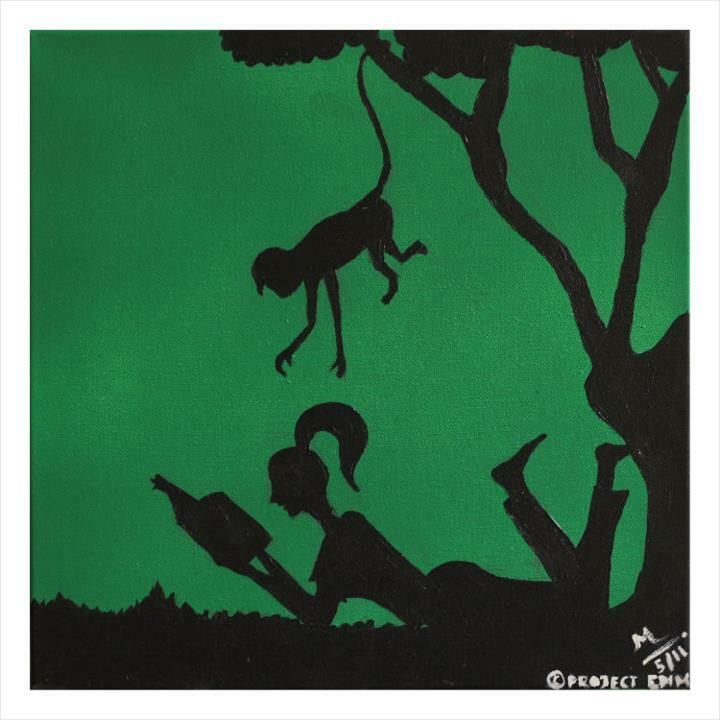 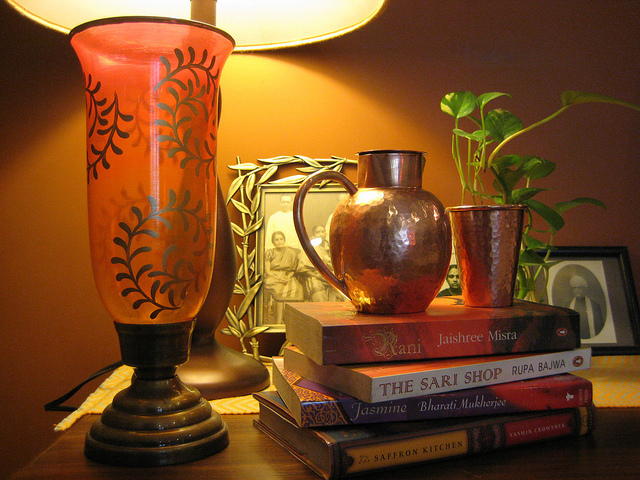 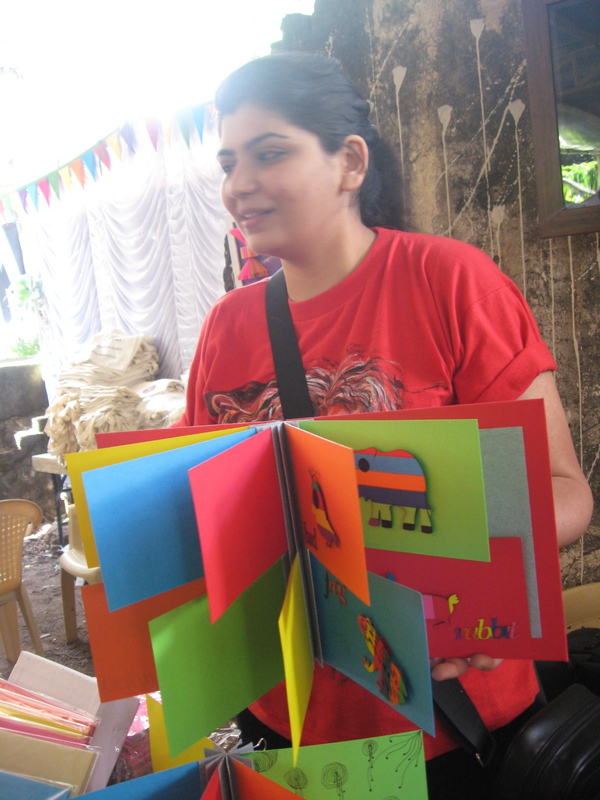 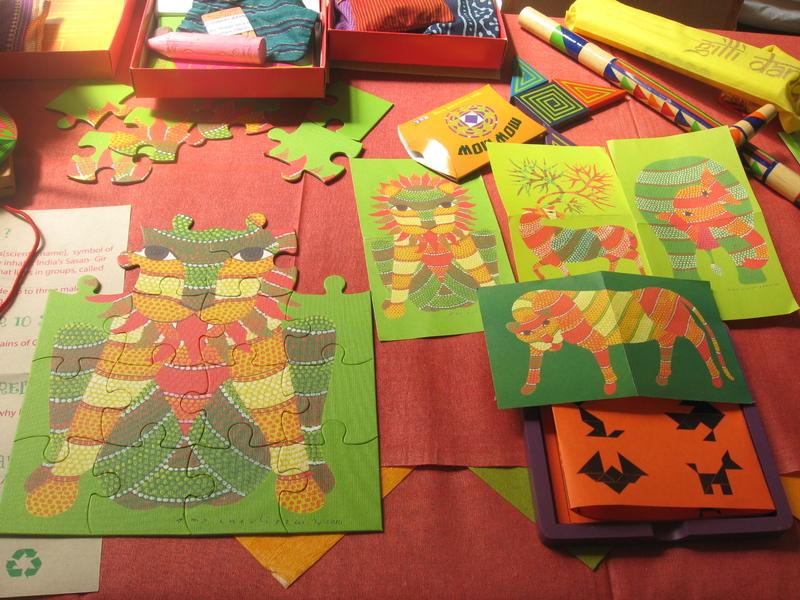 Aditi makes treasures with all the shades of paper, lateral story telling treasures. 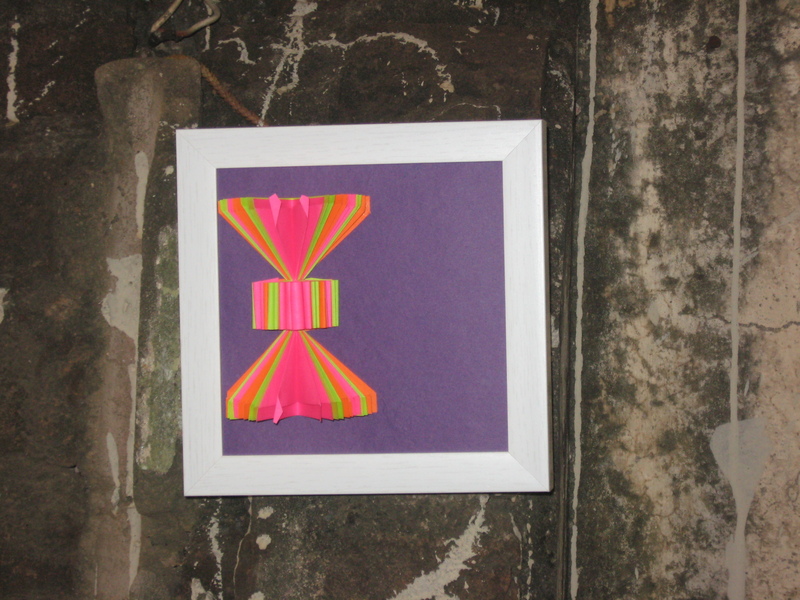 Sculptures in.. you guessed it, Post It notes! 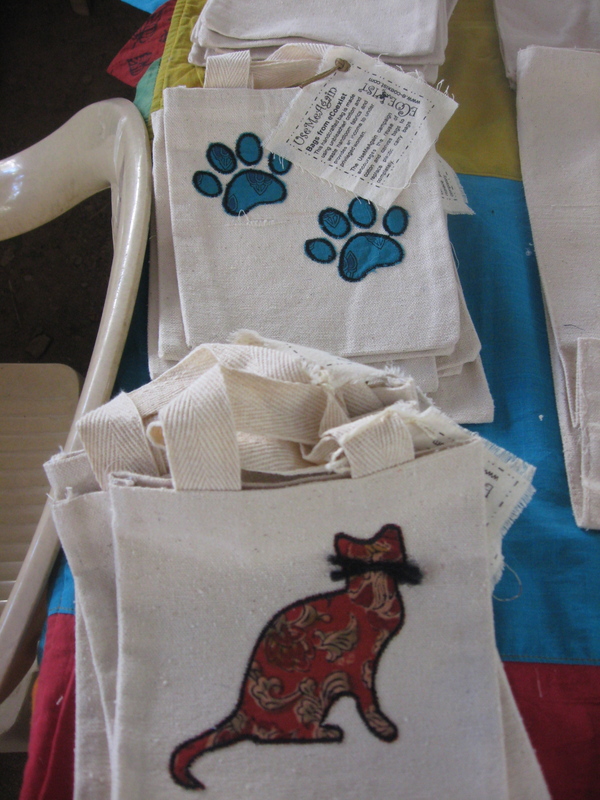 So go visit and encourage hand made!